Usually, I am not around much in January. Freezing temps send me to the warmest locale possible. With my husband's foot surgery and loose ends for publication deadlines, I've been in town/at home... actually enjoying every moment. Even the coldest days weren't terrible. I spent them experimenting in my kitchen and bar (top turnouts posted soon). One of the biggest joys was playing with items from Stephanie Stewart's A Chef's Table cookbook. The photos by Ron Manville and recipes from local culinary gurus were inspiration to create my own striking plates. 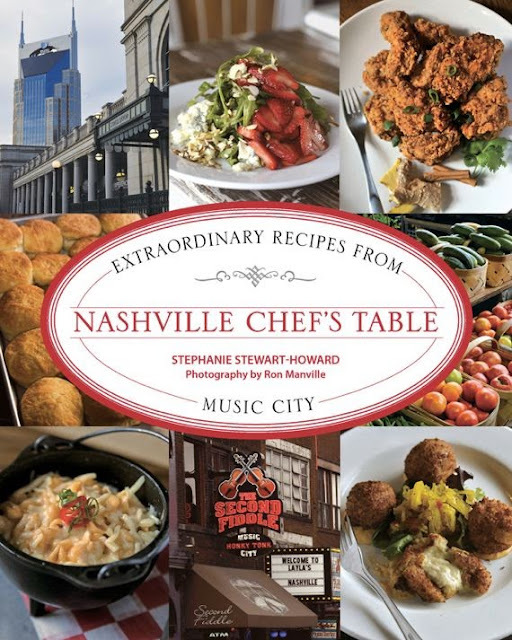 Find this collection of area chef recipes at your favorite bookstore. I finally caught up with other happenings in town (bonus!). Nashville is booming.. so fast that it's hard to keep up at times. I've done a quick roundup of items on my radar over the last couple of weeks (this is only part 1) that I couldn't wait to share. 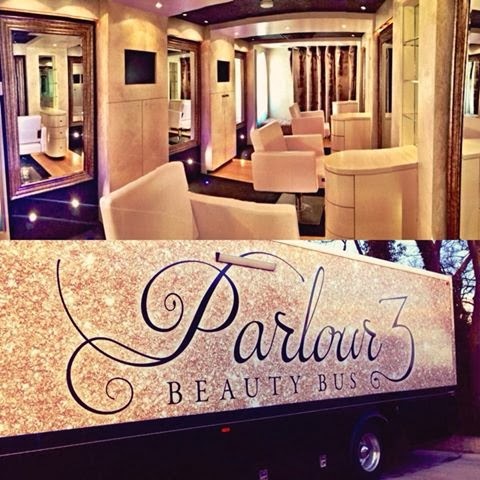 My friend, Melissa of Parlour 3 bought a tour bus, gutted and converted it to the ultimate glam vehicle. That's right- - a beauty bus on the road.. and it's fantastic. As a professional hair/makeup artist to top celebs, she knows the struggles of 'on location' work. Now, shooting remote videos won't require difficult set ups.. and bridal parties can be completely groomed in a church parking lot. It will be a blast for women's showers or parties. The possibilities are endless. Look for lots of media buzz on this, as it's the first of it's kind.. genius and gorgeous! The only bus I cannot wait to be on. As for the food scene, be prepared to be riddled with temptation from all of the new openings. 12 South is exploding with promise as the charming Josephine fills up nightly while the same owners work to open Prima in the ground floor of The Gulch's Terrazzo. Look for a dedicated post on Josephine experience this week. Just as they are wowing patrons, Espice is also finalizing plans to open doors nearby. Talk about a cool place to be for walking nightlife! I also love the new tacos added to the menu at recently opened Saint Anejo. Spicing things up has never tasted better. No need to blow a diet at Josephine.. the clean-eating vegetables are better than any burger. Nashville Originals' restaurant week (1/20-26) includes incredible multi-course meals at sensational savings. Reservations are filling up fast at member locations so be sure to make some. 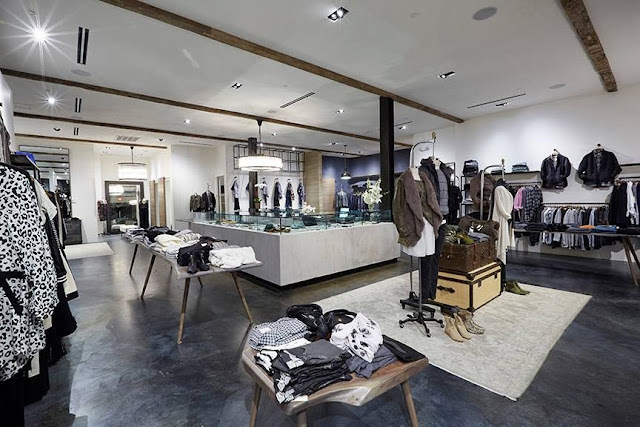 Step inside Emerson Grace for a total fashion fix.. and don't miss stopping at the fab Cadeau Home next door. 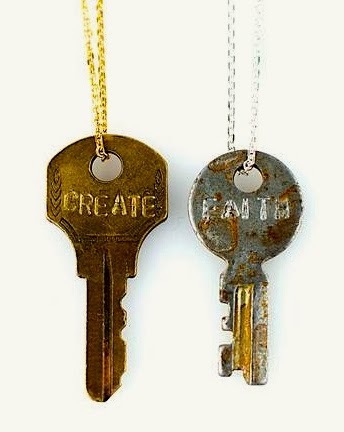 Each Giving Key piece has a positive message engraved on the surface. Stylish + sentimental = love! Do share your top picks for January and enjoy exploring all that Music City has to offer this season!